Bulgaria's "The World Is Big and Salvation Lurks Around the Corner", directed by Stephan Komandarev, won the audience award at the prestigious film fest in Valancienne, France. The 21st international film fest in Valancienne was held between March 25 and 28. The Bulgarian movie competed with 6 other titles, among them 3 French. This is the 9th international audience award for the Bulgarian film from festivals held on 4 continents. The movie also had its opening “river” night when it was shown on the ship “Sofia,” currently navigating on the Danube river as part of the program of the Danube Musical Festival. 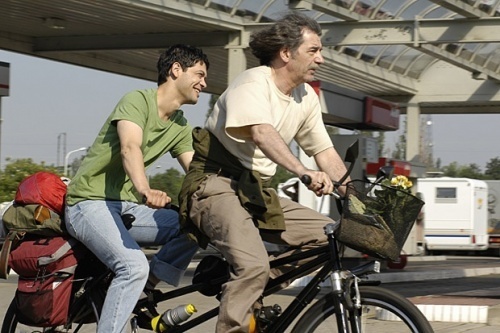 “The World is Big” has over 30 international awards. The movie was on the shortlist of 9 films, nominated for Best Foreign Film Oscar, determined by a committee of several hundred Los Angeles-based member of the Academy, but failed to make the final cut. Director Stephan Komandarev adapted the film from a novel by Ilija Trojanow that was inspired by the author's real-life experiences.